Discover a story of tragedy, courage, hope, redemption, faith and love which brings a whole new awareness to traumatic brain injury. The B.I.G. Ride is a non-profit cross- country	bicycle tour to raise awareness of brain injuries and	funds for brain injury programs. We stop in cities	and towns along the way, at schools, media,	businesses and churches to educate people about	brain injury and the impact it can have on your life. Our goal is to encourage bike helmet and seat belt	safety, as well as to inspire people living with a	brain injury that their life can go on in a very	meaningful way.. The B.I.G. Ride 2010 was thefifth bi-annual cross-country tour. From August 26th through November 14th, Ben Barry, along with various cyclists joining along the way with different levels of abilities, rode from Tustin, California to Charlotte North Carolina. For two and a half months, twenty-one states, and over six thousand miles, The B.I.G. Ride cycled further and through more cities and town than any of our previous tours. We welcomed the people that joined us on our journey for whatever distance they could. 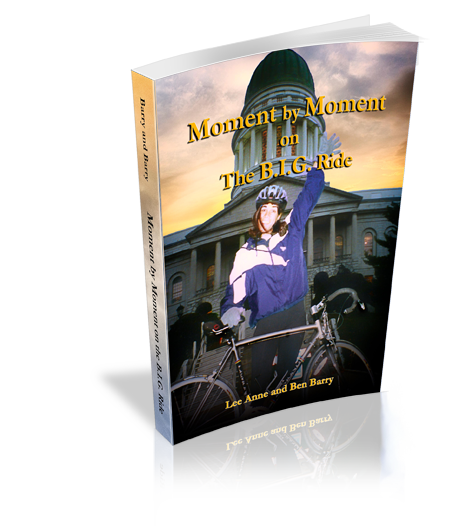 In 2001, in Oklahoma City, Oklahoma, we had a group of children join The Big Ride for two blocks, and in Portland, Maine, a group of people with brain injuries joined The B.I.G. Ride as we took a bike path around a bay. There was media coverage during many of the outreach functions at schools, hospitals, churches, etc. The B.I.G. Ride also raised funds for brain injury programs and organizations. 80% of the funds we raise as we pass through a state are given to brain injury programs in that state. 20% is given to the Brain Injury Association of America. Our sponsors are the most vital part of The B.I.G. Ride. We have been blessed in the past to have had Bellsouth Pioneers and cycle teams as our largest sponsor. 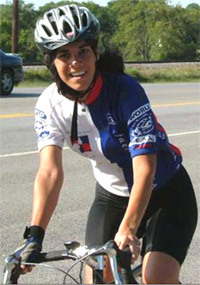 In 2005 they included in their contribution bike helmets to give away. Coca-Cola Consolidated has made financial contributions as well as providing us with an abundance of water and other drinks. Atlantic Coast Foods has been very generous to us over the years. And the countless other people who have helped The B.I.G. Ride to complete it's mission.